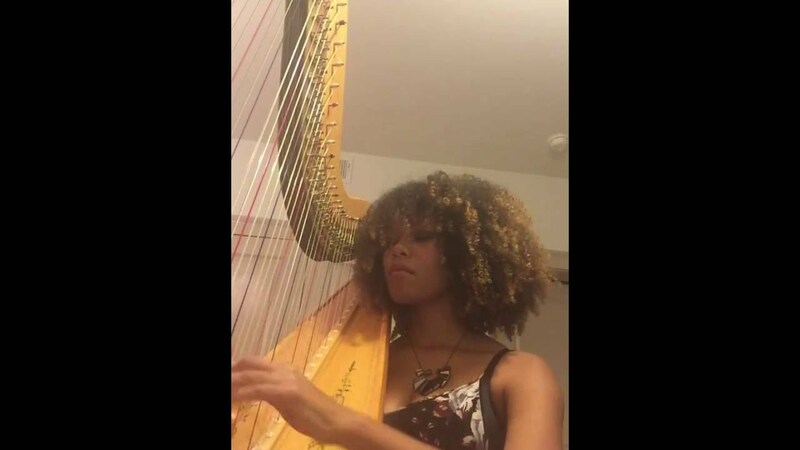 Harpist Maya GG's unique style and sound on the harp is that extra touch that will transform your special event into an enchanting one. 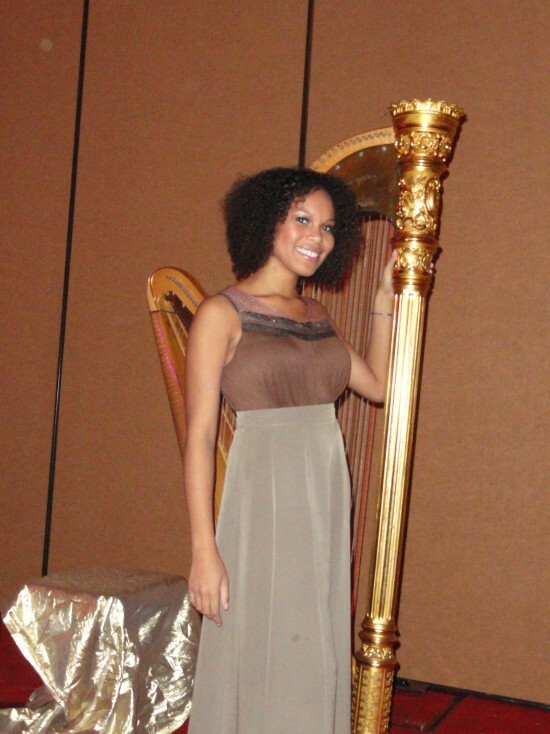 Maya has played classical harp for over 10 years and has studied under harp greats, such as, Robbin Cartier and Edith Elkan. 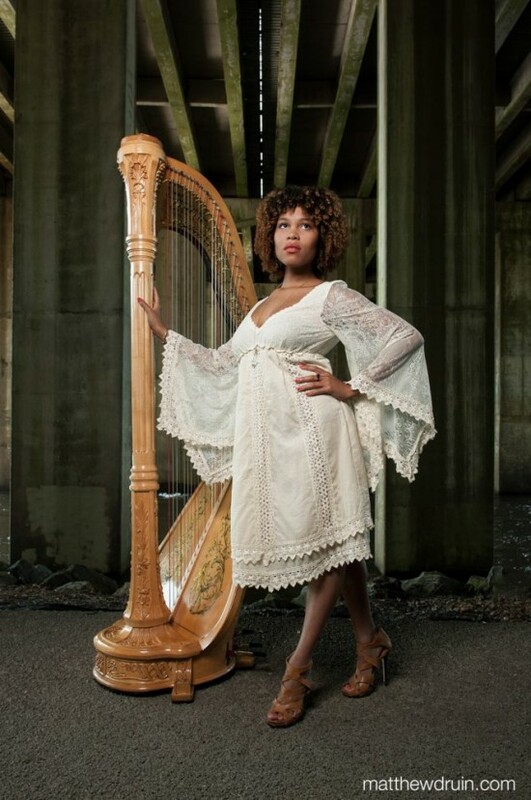 Her repertoire spans from classical to new age harp music. In addition to skillful technique and powerful sound Maya incorporates the therapeutic use of live music and healing properties of music into her playing. 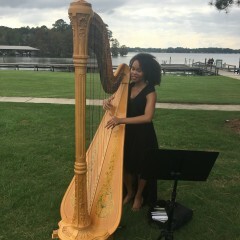 Maya GG is available for professional bookings including weddings, office events, parties, harp therapy, and lessons. On time. Beautiful. And her music was amazing. Anytime somebody has a event I'm going to refer Maya to them. My wife woke up the next day talking about her playing. FBCJonesboro's orchestra had to be condensed to an even smaller space than normal, with more instruments than normal... Maya was a total pro and SO adaptable in a tricky stage-placement situation. If she was frustrated through all that, I couldn't tell. Total sweetheart. Also, it took some time for us to mic her well. She arrived knowing all her music, and ready to play. She navigated the event conductor's 'unconventional' style with a great attitude. Absolutely gorgeous addition to our group. Absolutely! We cannot wait to have her back for another event. Working with her was a dream. Maya performed for my wedding ceremony and cocktail hour. I requested a special song to walk down the aside to about a week before hand. Maya had no problem learning and performing it beautifuly. My guest loved her, she truly helped to make my day special! Outstanding Talent and Beautiful Inside and Out! Maya GG was our choice for my daughter's open house of a historic home she purchased. Maya was everything we could have asked for and more! Professional, talented, personable, reliable, and simply gorgeous and gracious! We will definitely book Maya for future events! My aim is to provide more then simple entertainment when I perform. 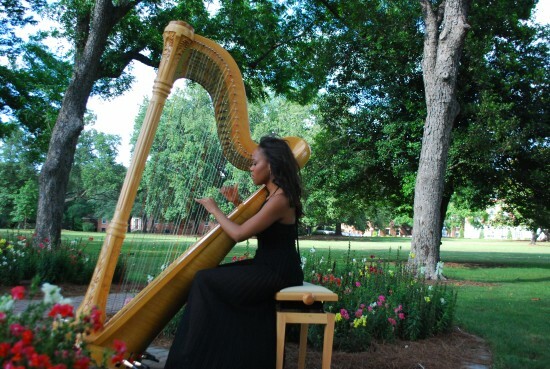 The harp is a sacred instrument in which I feel as though I was called to serve others through my music. 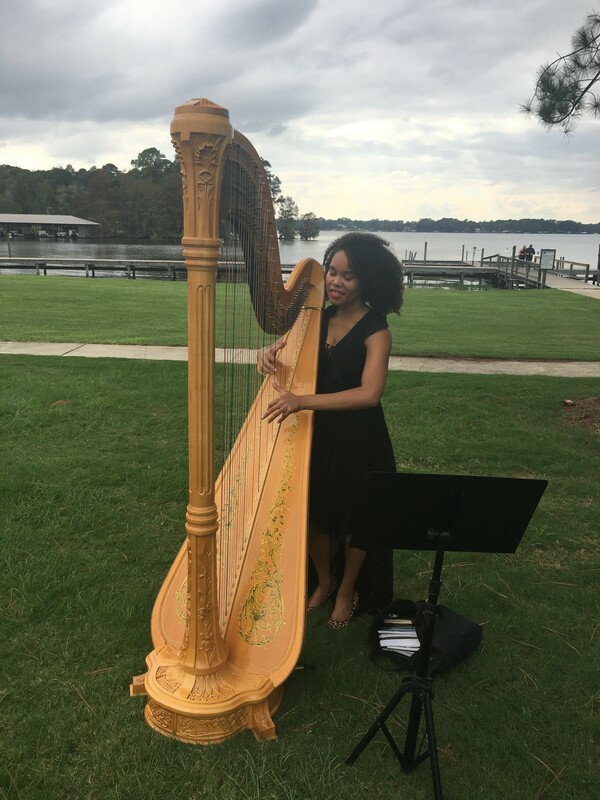 Whether, I am performing a wedding or providing a harp therapy session my intent is to resonate with my audience on an emotional level. In addition to skillful technique and powerful sound Maya incorporates the therapeutic use of live music and healing properties of music into her playing. 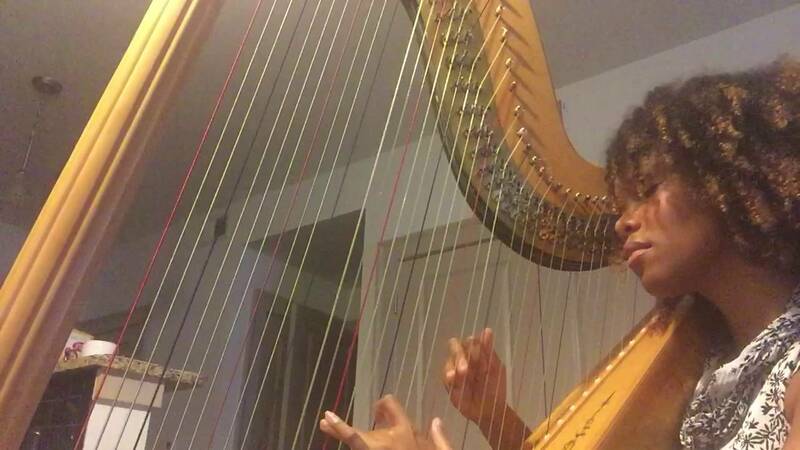 Having begun her harp therapy career in the hospital and hospice settings Maya has recently expanded into the field of wellness. Her belief is that we should not have to wait until we are sick or dying to seek solutions. The best cure is often prevention. She has worked with populations ranging in age from infant to elderly, special needs to the gifted and talented and everything in between. She specializes in areas of addiction, and anxiety. If this is an outdoor performance I must have protection from the elements in case of inclement weather. My repertoire spans from classical to new age. Bellow is a short list of some of my favorite songs. Simply put I am inspired by life itself when I am composing and performing. Many people comment on a a rawness in my performances that I feel is derived from my upbringing spent surrounded by beautiful bold women who never shy'd away from their truth and constantly encouraged me to chase mine. Among those women are, my grandmothers, my mother and my mentor and harp instructor, Robbin Gordon Cartier. My goal in music is to bless those who hear it and to honor the people who supported my craft and journey by giving my all in every note.